As I write this we are tucked in a slip at the Cap Cana Marina in Punta Cana, Dominican Republic. We have travelled the approximately 200 nautical miles from Ocean World, Puerto Plata to position ourselves at the southeastern edge of the Dominican Republic so that we will be in a favorable location to initiate our crossing to Puerto Rico via the Mona Passage next week. The journey across the north coast of the Dominican Republic, including stops at Marina Puerto Bahia de Samana and Punta Cana, has been spectacular. We left Ocean World before dawn on February 4. As the sun rose, we were underway, enjoying our morning coffee as the light revealed a truly amazing coastline off our starboard beam. The Dominican mountains come to the waters edge, terminating in sheer cliffs that the Atlantic breakers continuously pummel in a spectacular display of natures might. It was quite awe inspiring being able to watch from the comfort of the Pilots’ Discretion as we cruised a couple of miles offshore. Once around Cabo Samana, we entered the calm waters of Samana Bay which is a very large, protected bay on the east coast of the D.R. We pulled into Marina Puerto Bahia de Samana for fuel and a couple nights rest. We have been very surprised by the quality of the marine facilities that we have found in a country that in many areas lacks the basic necessities of life. The marina infrastructure is second to none and in many cases, far nicer than most marinas that you would find in Florida or other boating centers in the United States. While in Samana we took the opportunity to hire a couple of very hard working “boat boys” to wash the Pilots’ Discretion and polish her stainless steel. We also had a diver clean the hull and running gear in preparation for our crossing of the Mona Passage. On February 6th, we were once again underway at dawn, this time we were leaving in company with six sailboats who were all going in the same general direction as us. The sight of the sailboats off our beam and stern as the sun rose was really beautiful and reminded us why we love our time at sea so much. It wasn’t long after departure that it became evident that we would not be running in company with our new sailing friends for long. We were operating at our slowest idle speed and it was clear that we were still pulling away from the gaggle of sailboats. As we watched the sailboats disappear off our stern, we set up for a 10 knot cruise and made the turn southeast to round Cabo Engano and make our way to Punta Cana. The videos of the whales do not come close to capturing the magnificence of the spectacle that they provided us; it truly was one of those “you had to be there” moments. We are going to spend a few days here in Cap Cana as we attend to some routine maintenance items before heading off for Puerto Rico. 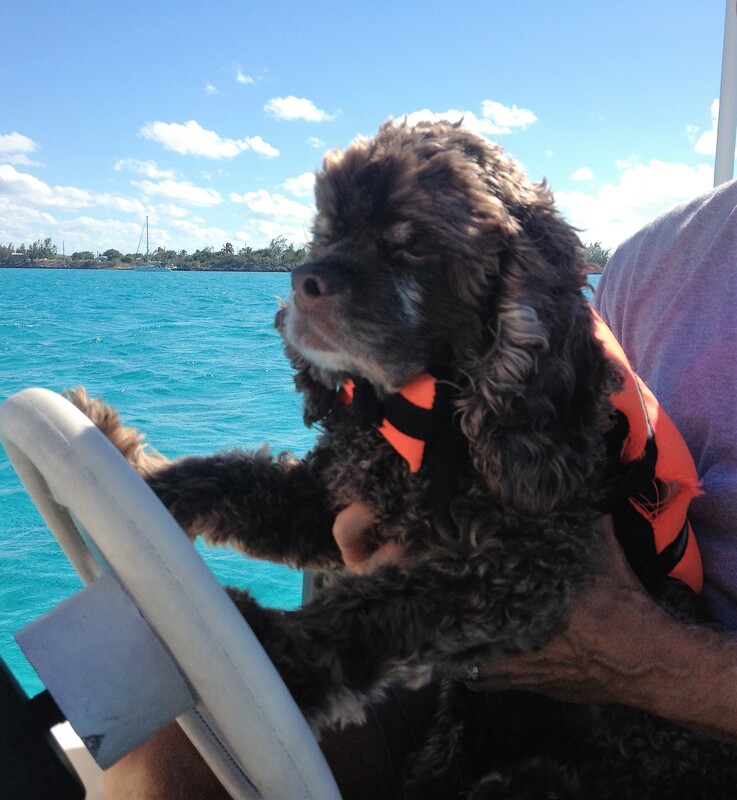 The good news for us is that Frank Castillo, the Cap Cana Marina Dockmaster has gone way out of his way to help us in any way that he can as we prepare for the next leg of our journey. We will post next from Puerto Rico. 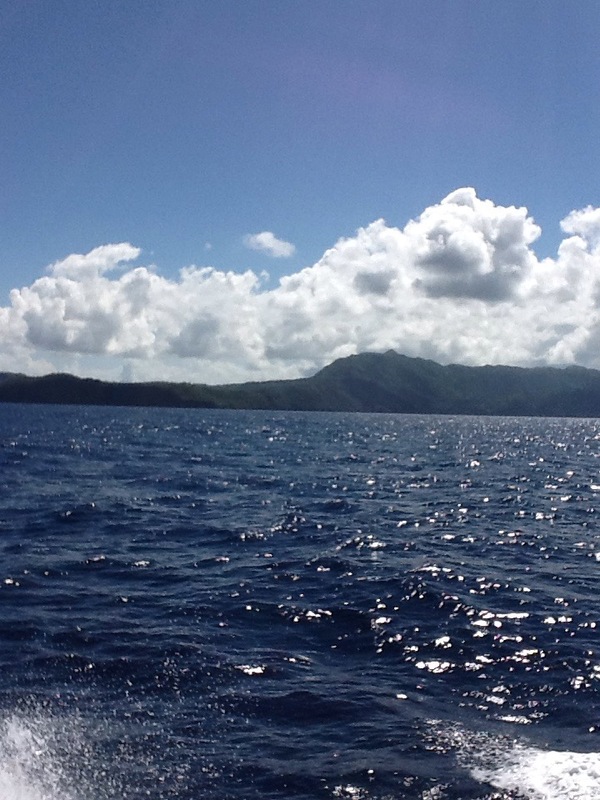 This entry was posted in Dominican Republic and tagged Cap Cana Marina, Dominican Republic, Humpback Whales, Mona Passage, Ocean World, Pilots Discretion, Puerto Plata, Puerto Rico, Punta Cana, Samana, Whale watching on February 8, 2015 by Randy. We arrived in the Dominican Republic (DR) on the eve of “Natalicio Juan Pablo Duarte,” a DR national holiday celebrating the birthday of the country’s founder. As such, we were treated to local fireworks displays, parades and festivities. In addition to enjoying the local cultural celebrations, we have all been putting our Rosetta Stone lessons into practice. Earlier this week, Ronan impressed the marina concierge when he communicated, in Spanish, our need for a rental car for the following day. When the car arrived, we headed off to explore the island, first to Puerto Plato, a medium sized metropolitan area, and then to Luperón, which is more rural. We opted not to pull the boat into port in Luperón, however, we used the rental car opportunity to visually survey the port as it is a well known hurricane hole should the need for such protection present itself. 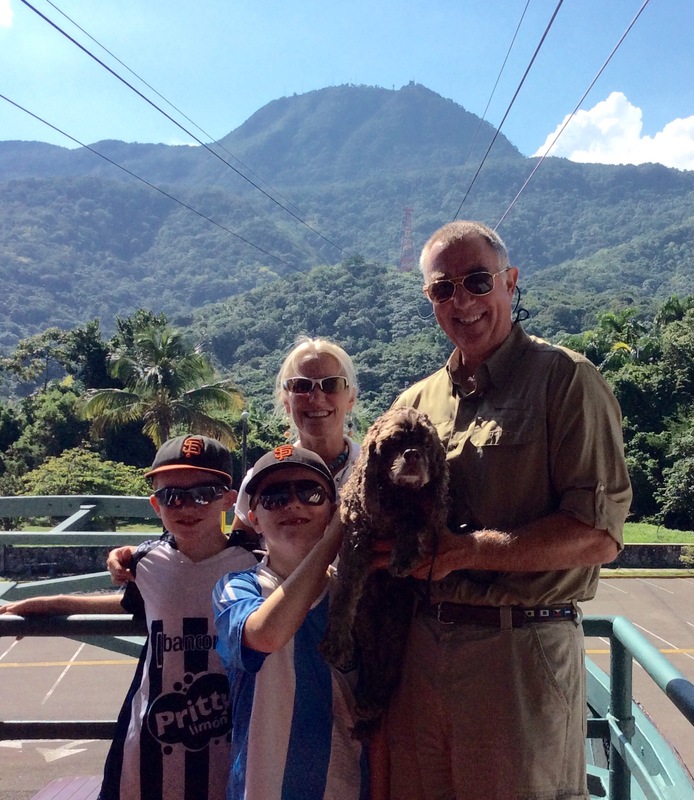 We next headed to Isabel de Torres which is famous for a cable car that takes you to the summit of a 760 meter mountain. In the National Park, atop the mountain, is a 16 meter high Christ the Redeemer statue, similar to the one found in Rio de Janeiro, Brazil. The National Park also has botanical gardens, hiking trails and caves that we all enjoyed exploring. 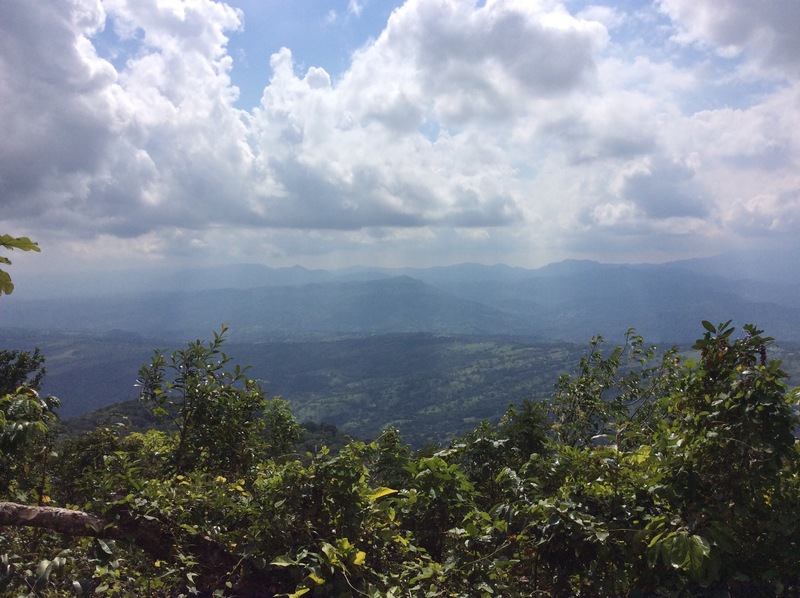 As is typical in the Dominican Republic, the heat of the day pushes the warm, moist marine layer of air up the mountain slopes where it cools and condenses, creating clouds and rain that enveloped the mountain top. We rode the cable car down the mountainside, through the clouds, and returned to the boat just before the afternoon thundershowers. 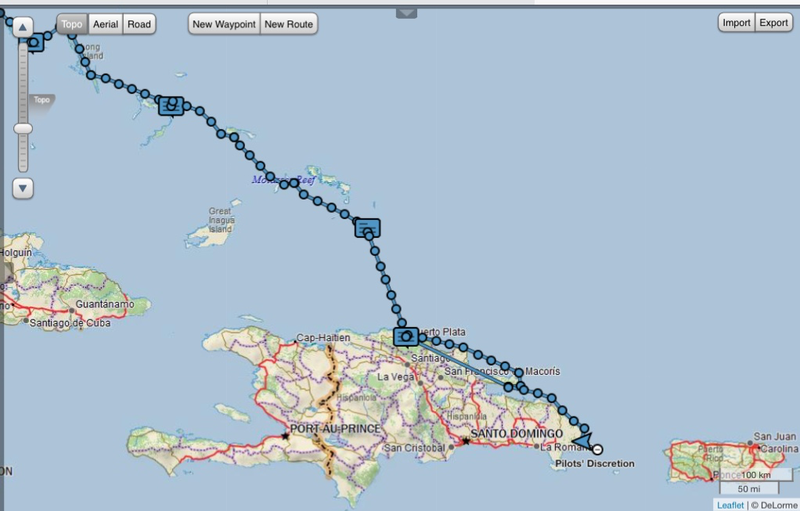 The next leg(s) of our journey will have us traversing the north coast of the Dominican Republic eastward towards Puerto Rico. Since there is significant northern exposure, we are continuing to wait for an appropriate weather window that will allow us to continue our journey. 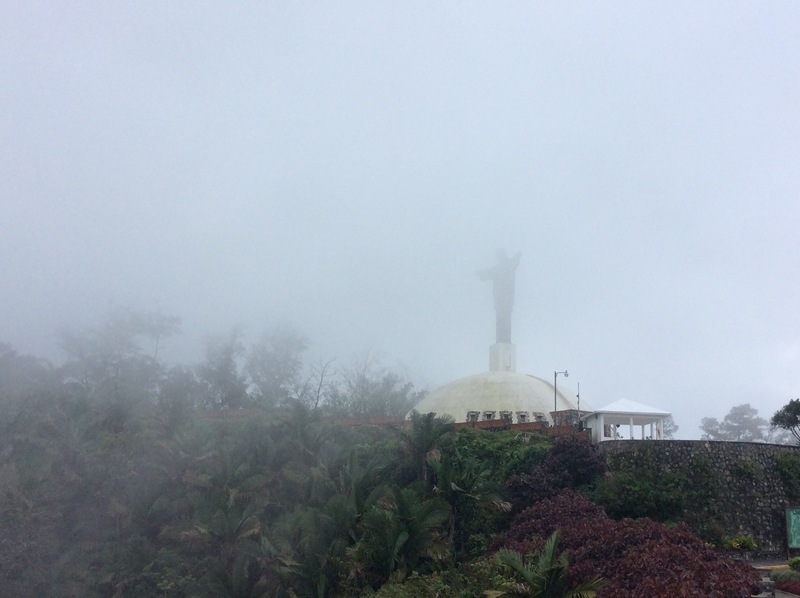 This entry was posted in Dominican Republic and tagged Christ the Redeemer, Dominican Republic, Isabel de Torres, Puerto Plata on January 31, 2015 by Theresa.